MORE workers are going for training, but those who feel it has helped their careers appear to be a shrinking bunch. Over the past five years, a decreasing proportion of them reported improvements in aspects of work such as productivity and career advancement. Experts pointed to mounting pressure for employers to send staff for skills upgrading as a likely reason. "Training is typically guided by the payroll budget or a target number of hours, so people may neglect the relevance of courses," said Singapore Human Resources Institute president Erman Tan. With many grants available for training, there is a tendency to become less selective about courses. "Smaller companies may have taken advantage of the large amount of funding support available to send workers for as many courses as possible, without really looking at their training needs," said Nanyang Business School consultant Adeline Tay, who teaches human resources courses. Around 51 per cent of employed trainees surveyed by the Ministry of Manpower (MOM) last year said they became more productive on the job after attending training in the past year, down from 57 per cent in 2010. Only a third said they became more employable, down from 37 per cent in 2010, according to annual Labour Force in Singapore reports. But the proportion of people who said they were dissatisfied with training inched down to 0.5 per cent, from 0.7 per cent. This comes amid a government push to improve access to good-quality training - so that Singaporeans gain deep skills - at an estimated cost of $1 billion per year until 2020 for continuing education schemes. However, Singapore Workforce Skills Qualifications courses, which are part of the national training framework, were reported to be useful by over eight in 10 trainees. These survey results were released last year by the national training body Singapore Workforce Development Agency. Experts noted that there are other factors besides the quality and relevance of courses that can influence workers' perceptions. For example, the rise and fall of the MOM figures since 2006 bear similarities to the economic cycle. So, people could be reflecting their sentiments about the broader economic condition, said SIM University economist Randolph Tan, who is also a Nominated MP. "The better the business prospects, the better the overall optimism at the company and the better the view of how their course attendance affected their jobs," he said. 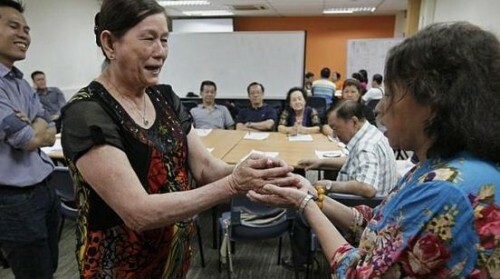 Ms Tay said another factor could be the ageing workforce profile. Older workers may not be as optimistic about the impact of training on career prospects. To turn things around, an overhaul of courses to make them more challenging and rigorous could help. When staff return to the job, there must be avenues for them to effect change in the workplace if they see things that can be improved, said Associate Professor Tan. "They have to see their role as furthering the objectives of the organisation as a whole, so they are training not just for personal standing, employability or a bonus." Ms Jillian Chim, 24, an assistant manager at a bank, said that while some of the courses she has attended have been less interesting, she likes that she has a wide range to choose from in the company. "I try to apply for useful ones related to banking and finance. I feel like I can learn something new from them, and, even if it's not applicable now, I can apply it in the future," she said.